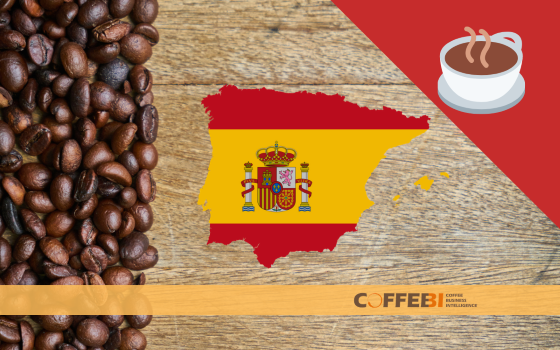 In Spain around 60.5% of people drink coffee and variations thereof. According to a survey carried out by the Centre for Sociological Investigation (CIS), Spaniards enjoy spending a lot of their time in cafés, bars, restaurants, markets and parks. Statistics show that people go to bars or cafés at least once a week and a cup of coffee is preferable by far compared to a book or an art exhibition. Coffee is not consumed only early in the morning, before work, but any time during the day is a good time to have a coffee. In the middle of the morning (during a quick break), after lunch, in the middle of the afternoon, and even after dinner. 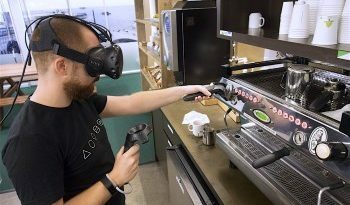 Most of the time coffee is consumed out of home (read also coffee consumption in the office, part 1 and part 2), at least once, and often in the same place. 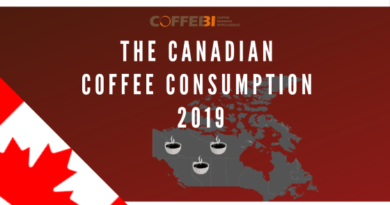 But what are the most frequently consumed types of coffee out of home? 1)Café Solo: the most common type of coffee in Spain is a café solo, this is a single espresso. It represents the basis for all Spanish coffees, but it is not the strongest version. Indeed, a very strong café solo is called a Café Doble (double espresso). If a café solo is too strong, it is always possible to add more water and the Café Solo then becomes an Americano. 2)Café con Leche: Café Solo can be served with milk, in this case it is called Café con Leche. The milk can be hot or cold, “leche fría or leche a temperatura ambiente (cold milk or milk served at room temperature). This is a coffee with equal parts of espresso and milk which should not be confused with other types of coffee with milk. 3)Café Cortado: Actually, a Café Solo with just a bit of milk is not a Café con Leche, but a café cortado, while a little bit of coffee with a lot of milk is a Café Manchado. 4)Café Bombón: is a Café Solo with condensed sweetened milk. 1)Café Suizo: The famous Café Suizo is a cup of coffee topped with whipped cream, Café Carajillo is a cup of espresso with a shot of liquor, brandy or whiskey. 2)A Catalan specialty is Trifásico, which is a cup of Carajillo with a bit of milk. 3)Café con Hielo: on hot days there is also a Café con Hielo which is a cup of iced coffee, either black or white accompanied by a glass filled with ice cubes. 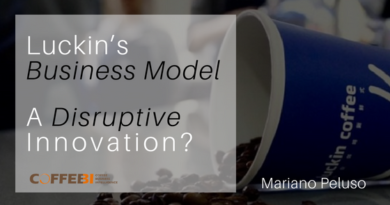 Buy the most detailed report on the out-of-home coffee market: size, sales, prices, trends, and forecast. Choose a split between HORECA and OFFICE. ← How will the vending industry change?